Top companies are paying a huge sum of money to SEO firms to get their website on top of Google search results. 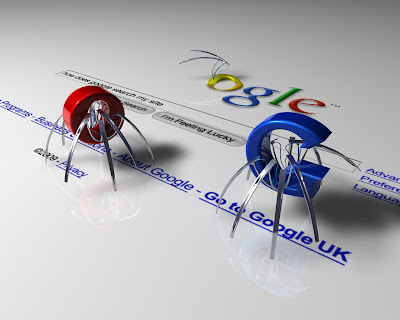 Making your website search engine spider friendly is an important SEO technique to fine-tune your website for the search engine robots and to see for yourself how they in-turn see your site. In case you’re wondering what search engine spiders are, they are computing-based robots, which index pages after pages over the web. Spiders use the search engine algorithms to evaluate the quality of your web page and gives ranking to the page based on the algorithm. The key to get new web pages quickly indexed with Google is to add a reference to them in the page that is more frequently visited by the spiders. Search engine simulators not only tell you how search engines view your website but also help you with the important keywords and the keyword density on your web pages. With the introduction of new algorithms stuffing your web pages with keyword might overkill the readability of your website and the search engines might get suspicious whether you’re proving quality content to your readers or are just creating search engine friendly pages. It is important to use different keyword in an optimum number that gives the spiders of the context of your web page as well as keeps your page interesting for the reader.